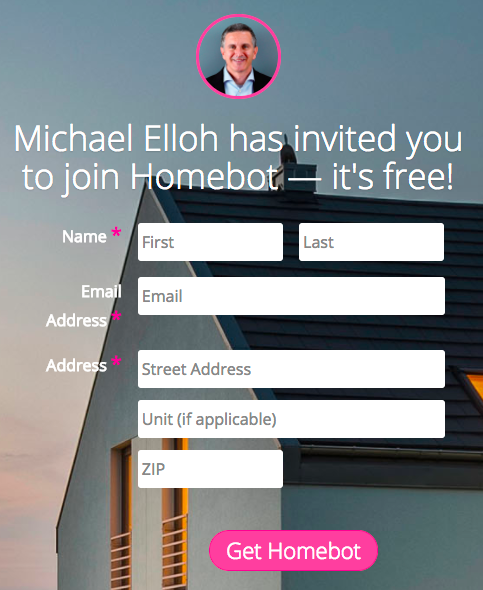 Using your phone or tablet, log into Homebot using your phone's default browser (you'll need to request a login link and login from the email you receive). Once logged in on your phone/tablet, click the "Share" menu option (see below), within your account to go to your sharing functions. Just below the three blue "Share on Facebook" buttons you'll see your unique PURL where it says "Invite people with your URL" (see below). Once you have reached this page, click the appropriate link below to finish the process based on your device (Apple or Android). Now that you have bookmarked your Invite URL to your phone/tablet home screen, simply click on the icon during open houses or networking events to quickly add new leads. They will receive a Homebot Digest within a few minutes!